Drop your mind and listen to your heart! 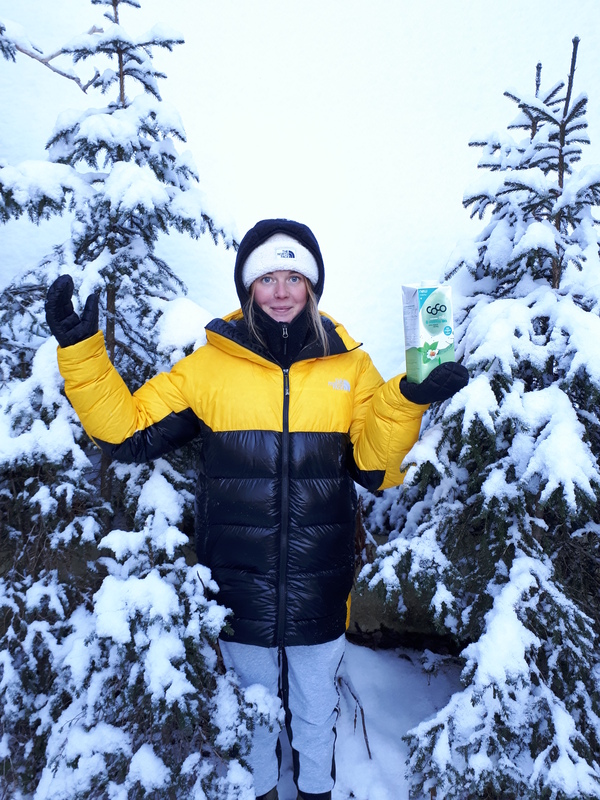 Evelina is a free-spirited skier with big dreams for the future. She is eager to travel the world in pursuit of game-changing ski adventures, new friendships and the creative and spiritual fulfillment she craves. Growing up in Luleå in the north of Sweden, and later moving to the ski resort of Åre, she has been hooked on outdoor adventures since her early childhood. When exactly did you start skiing? I started skiing when I was three years old. Before that my dad had me on his back in a pack. My mom and dad always brought me and my three siblings out on adventures. Camping, picking berries in the forest and skiing. 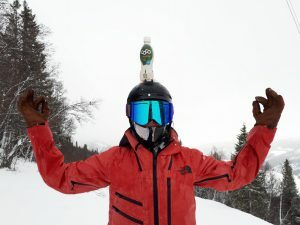 What is important if you want to be a successful freeskier? Talent? Courage? Craziness? The most important thing in everything we do is to follow our heart and inspiration. Having faith and believing in ourselves. Being open and knowing that we will sometimes fall but that is part of the journey. Just get back on that horse and keep skiing. Keep believing. Keep dreaming. Anything is possible. What are your current projects or better to say adventures? This year has been a crazy intense winter so far. It´s been full on since January. The most exciting project that will be released this fall was my adventure to ski in the middle east, Israel and Lebanon. I went there with my ski friend Janina Kuzma and filmer Colleen Genteman. In society today we´ve been hammered by preconceived thoughts and concepts through media and growing up, in such an extent that we sometimes believe these stories to be true. Going there I got to see for myself what I´ve felt in my heart to be true, humans are humans everywhere. And we are all one and the same. Separation is something we have created in our minds. Drop your mind and listen to your heart. What is your favourite country – so far and why? Tough question! There are so many beautiful places on earth and I have been lucky to have seen a lot of them. I believe that every country is unique and has its special touch. In that sense it is so hard to compare. That´s why I really don´t want to. For me it´s just that some countries resonates more with me, I believe it´s a combination of the vibe of the people you meet and your own balance at the time. I love Sweden, Norway, Iceland, New Zealand, Canada, Puerto Rico, Slovenia, Portugal and the list goes on. I love them because of their pure beauty. But as we all know also, Home is where your heart is and it´s really about where you are at within. When do you usually drink our coco & why can you recommend it? Anything is possible. The force is strong in you. 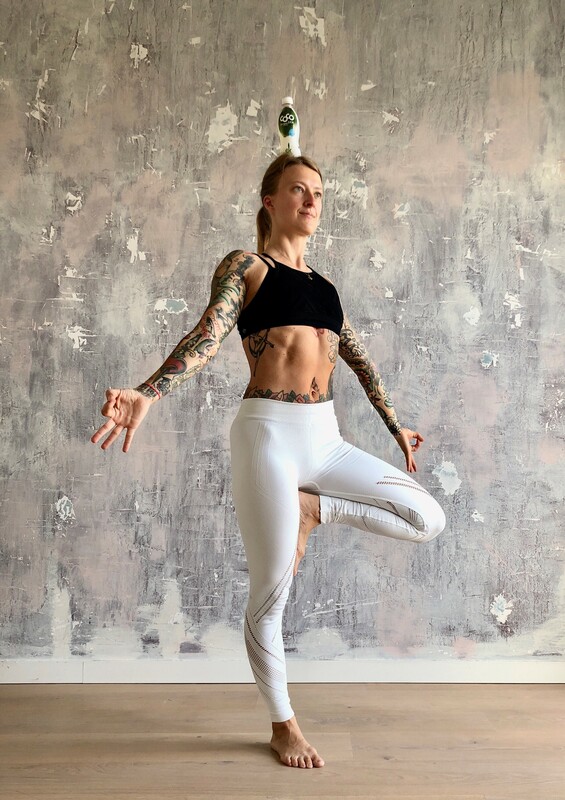 Active Butterﬂy pose helps nourish the hips just as coconut juice nourishes our bodies. If you do it like this. Let us know and send us your photo. We would like to buy you a COCO juice … RESPECT! Balance Challenge: If tree pose is easy for you, try balancing a COCO juice on your head! Good luck and have fun trying it! Another innovation comes in the form of the fully recyclable 0.33 l PET bottle, which is stylish, easy to hold, and comfortable to drink from: Organic coconut juice from young coconuts with a hint of the natural flavour of passion fruit – and for the first time in the history of Dr Antonio Martins – it’s fizzy. The light, ergonomically shaped bottle is a practical companion when playing sport or on long shopping trips. After all the hand(bag)y thirst quencher fits in virtually any handbag. The newcomer already has three elegant PET siblings, which are still, in the flavours original, mango, and peach with green tea. 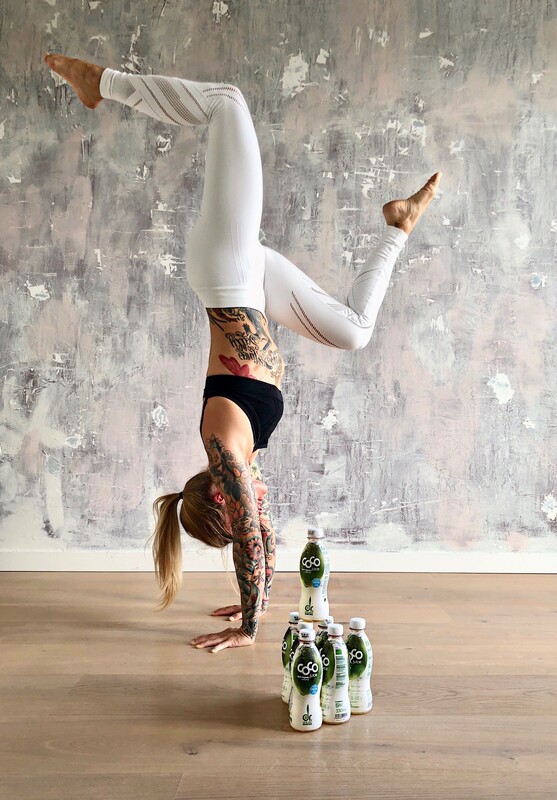 With no preservatives or sugar and a maximum of 19 kcal/100 ml, they are an organic, low-calorie, refreshing, and flavourful drink. There is a special collaboration for the launch of the product, which fits with the hashtag #passionfürdietasche (#passionforbags). 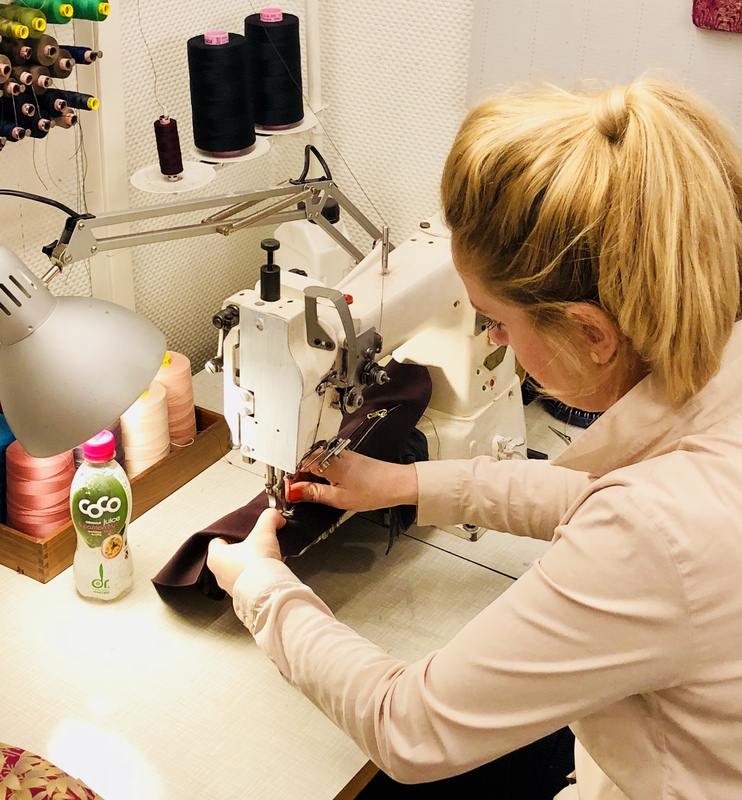 Nuremberg bag designer Karin Suchanka manufactured two exclusive high-quality leather handbags – in the colour scheme of the product innovation coconut juice & passion fruit. The fashionable X-Bag comes in trendy colour blocking with green (like the coconut), pink (bag fastener), and passion fruit yellow and gold. They will be given away on Instagram and on Facebook under the hashtag #passionfürdietasche (#passionforbags). Who can take part? Anyone who follows the Instagram account at dr_antonio_martins and/or the new Facebook account at Dr_antonio_martins. Anyone who likes the coming post with the photo of the unique bag and explains using the hashtag #passionfürdietasche (#passionforbags) why they have a special passion for bags – photos would be good – will be entered into the draw. The giveaway is expected to start on 15. March 2018 – the unique bags are currently being designed by Karin Suchanka and hand stitched in her studio in Nuremberg’s old town. 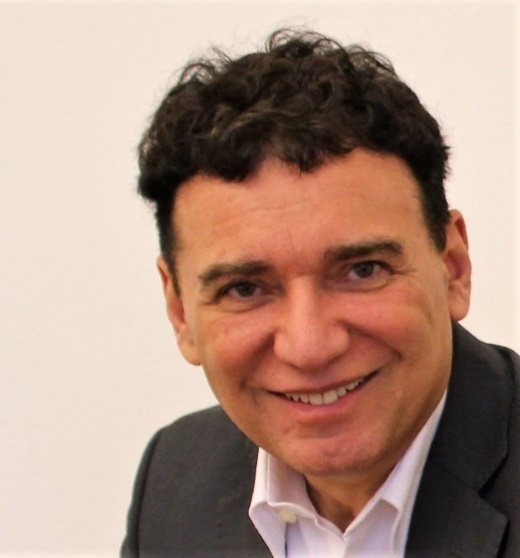 Dr Antonio Martins – co-founder of Green Coco Europe GmbH, who gave his name to the Dr Antonio Martins product range, was born in Brazil and grew up in London. Out of love for his wife, Hannelore, he moved to Austria and completed his specialist medical training there. He was Head of Paediatrics at Medeor Downtown Medical Centre in Dubai for five years and in summer 2017 he returned to Austria. A passionate paediatrician, he is the father of three sons who study medicine and enjoys relaxing in his spare time to the music of Shostakovich. What sparked your desire to bring the national drink of Brazil to Europe? In my role as a paediatrician, concerned mothers were always asking me for alternatives to sweet carbonated drinks, fruit juices, and sugary soft drinks. The national drink of my home country, the juice from the young coconut, is a real mineral bomb with its high potassium, calcium, and magnesium content. The natural sugar content is very low, so it is low in calories and also hypoallergenic. Coconut juice is an exciting, exotic, and very healthy alternative to pure water. Is it really so bad for a child to drink a soft drink now and again? In my practice I diagnosed a new case of diabetes once a week. Usually they’re very small children. With healthy food and avoiding the regular consumption of sugary drinks, in many cases this diagnosis would not have been necessary. Often the little patients ask me: But what should I eat now? My honest answer is: Everything you were previously avoiding. Lots of fruit, vegetables, and salad. Are these not individual cases, often even the result of genetics? Unfortunately not. There needs to be a change of thinking in our society. The number of cases of diabetes, coronary heart disease, and obesity is increasing rapidly – even in childhood. Not only in America, but in Europe too. It is a problem that is a serious long-term danger to society. The politicians must act now out of responsibility for future generations. Or do you think that in times of dramatic demographic change, the increasing levels of illness – demonstrated by these diagnoses – will be affordable in the long-term? Do you see any progress? What stage are we at now? A lot has happened – since the 60s and 70s. For example, back then breastfeeding was demonised and industrially manufactured milk was preferred. Breastfeeding was frowned upon, even though this natural type of nourishment gives the infant everything it needs in the first months of its life. Cola and the like were fashionable and often a staple drink in the family refrigerator – sugar was not demonised, but fat. Currently things are happening: Well-known supermarket chains are considering dramatically reducing the sugar content in their own-brand products. Consumer awareness is steadily changing – the topic of sugar is increasingly becoming a focus. Fruit juices also contain sugar, natural sugar. In 5 years we won’t just be talking about cola, but also about whether four oranges are enough for a freshly-squeezed Sunday breakfast juice, rather than ten. But you also have fruit juice blends in the Dr Antonio Martins range? When using fruit juice we make sure there is a sensible balance and do not add any sugar to our products. This is why our low-calorie drinks are so popular, particularly among sportspeople and nutrition-conscious consumers. The natural flavours of the fruits are used in our blends. When we use fruit juice – such as in our blends with banana, apricots, and pineapple/acerola – we add the juice and the pulp in reasonable amounts. Dr Martins, you call coconut juice a concept – what exactly do you mean by that? And what about jobs in Europe? Green Coco Europe GmbH does not just create jobs in the ‘coconut countries’, but also in Europe. We transport the raw materials to Europe and organise the bottling of the product here. One positive side effect is that this enables Dr Antonio Martins to guarantee a consistent taste. Because the juice of the coconut varies, depending on rainfall and weather conditions locally. Our competitors who bottle locally cannot provide this taste guarantee. Are there any new products coming soon from Dr Antonio Martins? In February 2018 two innovations will be coming onto the market. The first new product: The organic juice of the king coconut. The yellowy-orange coconut grows in Sri Lanka, contains hardly any fruit flesh, but is filled right to the brim with coconut juice. This rarity is particularly rich in minerals and nutrients – and with its slightly sweet, mellow juice, it is rightly named the king of the coconuts. Another first: Our first carbonated blend. 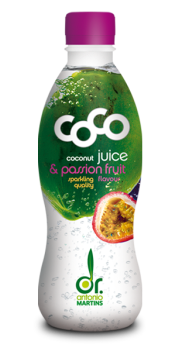 Coconut juice from young coconuts is enhanced with a hint of the natural juice flavour of the passion fruit. Not uninteresting for women? The practical, light PET format, completely recyclable of course, fits in any handbag. So bring on the summer … Dr Antonio Martins has taken care of innovative, organic refreshment. Falling coconuts are really dangerous. Coconut palms grow to a height of over 20 metres. And a coconut can weigh up to 5 kg. These two ingredients produce a dangerous combination, when a coconut falls from the palm and you are in the wrong place at the wrong time. The combination of the weight of the coconut and the speed of the fall means a falling coconut hits the ground – well, hopefully the ground – with a force of over a tonne.